These are the most commonly used pipes today in some of the commercial properties and sewer lines of homes. They are manufactured as spigot and bell types but are more expensive compared to spigot and bell types. They are firm and more substantial than any other pipe and are commonly used for underground installation or water distribution systems as the main pipe on sewer systems or drainage. Although it is amongst the most robust pipes, over the years the pipe wears out and decreases in diameter causing the drains to clog. Its ideal use works best for indoor plumbing projects whereas outdoor the least recommended. They come in different types as each has various applications. Their ideal use is for hot and cold potable water, and sewage applications. The difference comes in as sewer pipes are different from pressure water pipes and those for storm drainage systems. 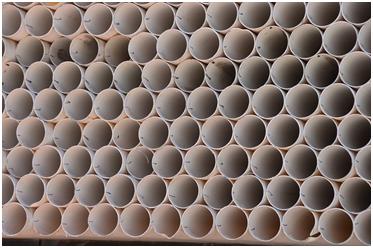 Example of PVC pipes with their ideal use is chlorinated PVC pipes designed to resist high temperatures, plasticized PVC pipes used for low-temperature areas, and unplasticized PVC pipes for cold water systems. They indication of NSF-61 and NSF-PW signs on the pipes imply that they comply with the health effects of NSF/ANSI standards. Several years ago the galvanized pipes were commonly used for standard residential projects. Since then they have been upgraded to steel pipes which are coated with zinc thus promising a galvanized pipe protected from corrosion. Currently, they are expensive than PVC pipes due to its added capability. They also come in different lengths and varying thickness levels. They come in two grades medium and lightly used for internal plumbing for transporting non-portable and grey water. PEX piping is also one of the most popular plastic piping used for small business and residential applications today. It is also higher in initial cost but helps you spend less. It has a minimal maintenance cost and a fast installation process that makes it best for water distribution in a building. It can’t be used for outdoor applications as the UV rays is a threat which can damage the outside plastic layer. It is one of the commonly used pipes for building construction today. The materials used in its manufacture are Portland cement and water and designed to resist any load. Moreover, they are of different diameters thus can easily be reinforced and unreinforced. They are commonly used to supply water making it one of the top priority soil pipes at EasyMerchant. The larger reinforced pipes are used for primary water supply projects whereas the smaller unreinforced pipes are for draining water. More so, its durability is what keeps it outstanding from the rest of the commonly used pipes. It’s one of the traditional pipes still in use today due to its reliability and durability. Its ideal used for cold and hot water although before its usage may require some additional fittings. They have superior corrosion resistance and easy to manage. The installation of such pipes requires professional plumbing services as they need to be soldered together and cannot be done by anybody to avoid leakages. As its name suggests, it is from asbestos material and cement. They are capable of withstanding high pressures thus worth to be used for water mains. Moreover, they can easily get damaged by the root intrusion. So if you plan to construct a sewer line or septic tank, it is essential to consider another piping for that project. It is the most expensive pipe in today’s market just like its name suggests. They look very simple but perfect for coastal areas and areas subjected to corrosion. They come in two different types the rigid and flexible pipes. To attach it to other pipe types, you will need an additional unique coupling for it to work correctly. The difference between stainless steel pipes and galvanized pipes is that galvanized pipes have been modified on the inner part with steel whereas the stainless steel pipe is of steel all around it. They are available in various lengths and size the same as any other pipe. The high-density polyethylene pipes are also one of the expensive pipes in the market today due to their added capabilities that are rare to find in other pipes. They are perfect to be used in a demanding, high-pressure zone as they come in different thickness. One of the outstanding features is it can bend to 90 degrees angle and also have a 50 years warranty due to its high quality. Moreover, roots cannot grow in this pipe thus are good or water and sewer lines in different applications. They may sound similar to PVC pipes, but they are very different in terms of applications and durability although they have the same ideal usage. Brass plumbing pipes are one of the most robust pipes as it is made of 67-85% of copper thus providing the best rust resistance. Red brass pipe is one of the best grades for in brass pipes as its alloy is of 85% copper. Its design promises a long-lasting material that doesn’t rust in the interior. They are accessible to thread compared to steel pipes and used for large distribution system and hot water, i.e. water tanks, wells, and pump fitting. They are also the most long lasting compared to other pipes due to the materials used. 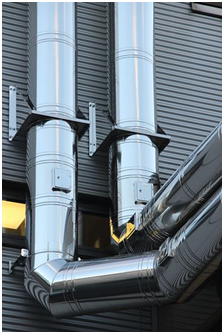 From the above article, plumbing pipes may be the same, but all have different applications. Some tend to be stronger, durable, and expensive than the others which are the factors that you should consider before purchasing one. Consider knowing more about the pipes before budgeting for it and see if it meets the building requirement.